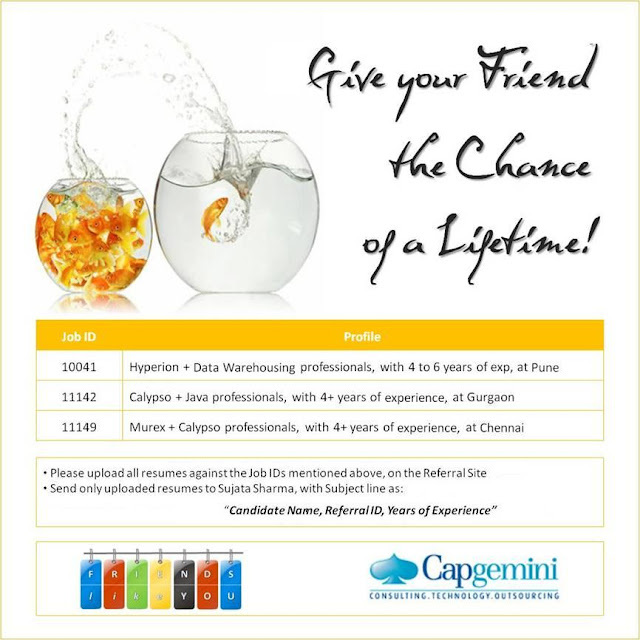 LeapJobs@gmail.com By Mentioning The Sub: Capgemini- JOB CODE. Kindly Don't Forward Freshers Profiles. How To Avoid The Interview Stress? Get Successful Interview TIPS Now! Is It Reference Really Helpful For JOB? How To Score At Tough Interview?